There are places that make distinct marks in one’s life, like the site of one’s first business, where from humble beginnings one has grown a successful enterprise. And while such a location may have changed over the years, it can surprisingly create even more wonderful memories that would strengthen one’s ties to the community. 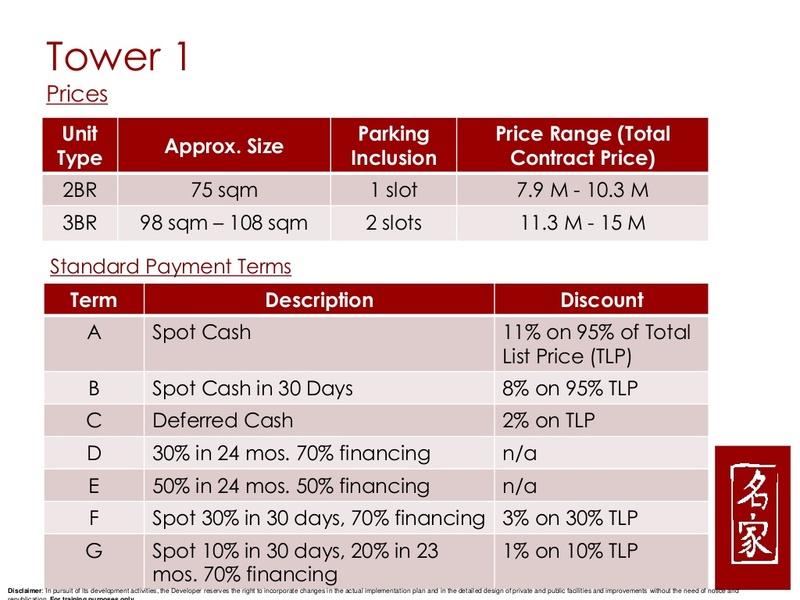 The Signature Quezon City is the latest residential project of Filinvest Premiere that provides successful entrepreneurs with a luxurious abode for their families that’s conveniently accessible to their hubs of business. Located in bustling A. Bonifacio Avenue, home to one of the country’s oldest Filipino-Chinese communities, The Signature Quezon City truly entices with an exclusive environment that nurtures family relationships while forming and strengthening business and community ties. 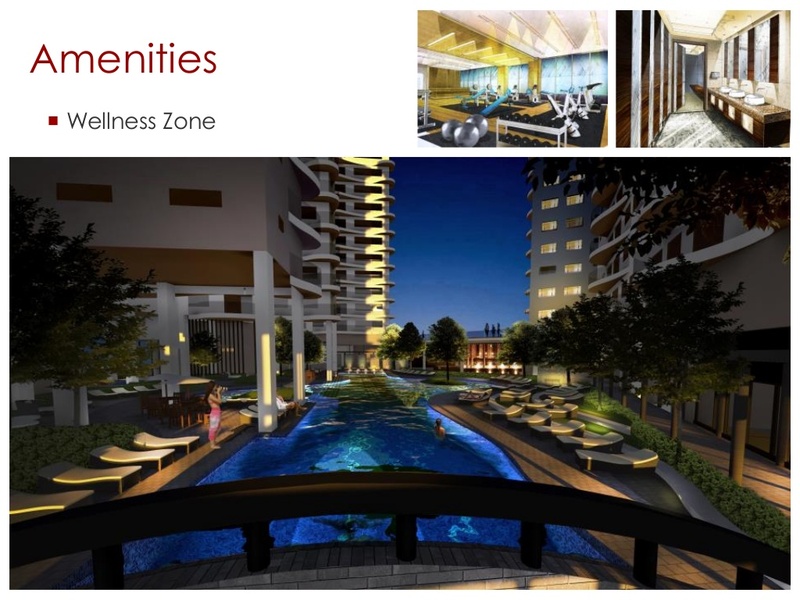 Living the luxurious life is a focal point of The Signature Quezon City, with over 6,000 square meters of the development devoted to amenities and green spaces. The grand lobby exudes quiet elegance, while outdoors, the Olympic-sized lap pool, submerged and kiddie pools, and lounge and pool decks in each tower all contribute to a resort-like ambience. Taichi gardens and oriental courtyards imbue the space with the air of serenity, while the jet spa, fitness center, ballet and yoga rooms offer other options for wellness activities. Residents can certainly feel there’s no need to leave The Signature Quezon City especially since it has its own mini-theater and KTV room. 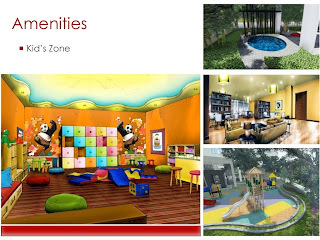 Children can have their fill of fun at the outdoor kids’ active zone and multi-purpose game rooms; a daycare center and private tutorial center are also available. Even having parties here is a breeze, with several function rooms to hold each special occasion. 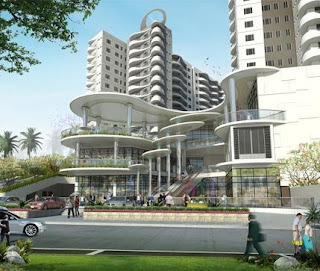 And should they be in the mood for some shopping, residents can simply visit The Signature Quezon City’s Commercial Hub. 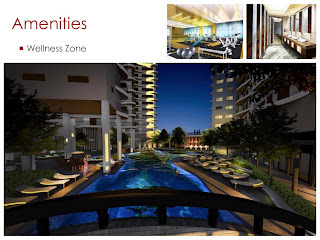 Residential units at The Signature Quezon City are certainly paragons of comfort and luxury. 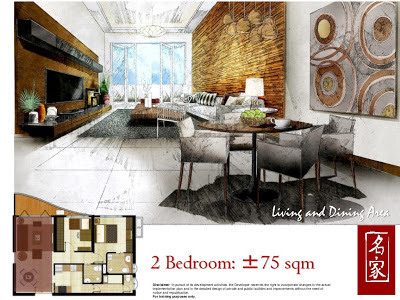 As each residential tower only has fifteen floors with eight to nine units per floor, the units are unbelievably spacious; they can comfortably accommodate two or three bedrooms with each bedroom having its own toilet and bath. 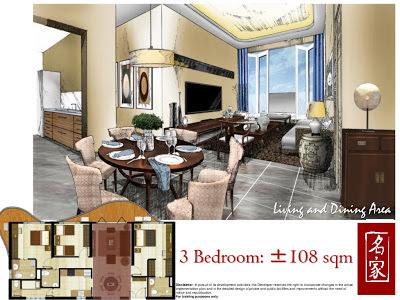 The units also have a maid’s/utility room, an ample living and dining room, and a well-planned kitchen space. Units have either balconies or private gardens providing refreshing extensions of space. 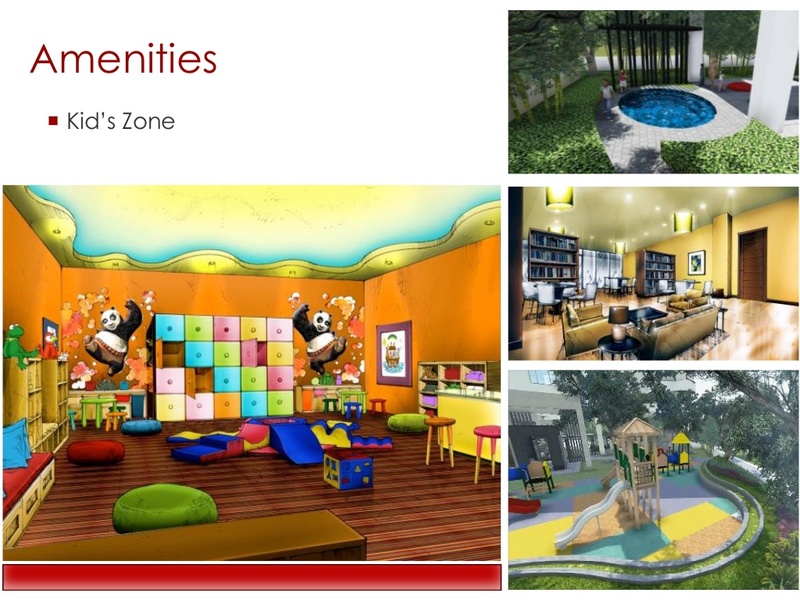 Combined units can also be availed to accommodate the growing needs of the family. Such wealth of space can provide the needs of those about to start a family or already have a growing brood. 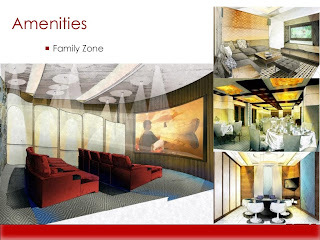 For Filinvest, residents’ privacy and security are paramount concerns; thus The Signature Quezon City ensures that these needs are more than ably provided. Only unit owners can access the residential towers, through entrances that are secluded from public view. 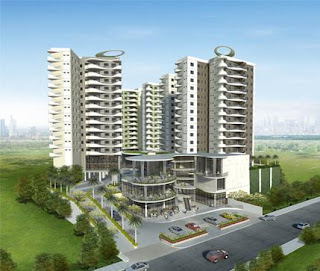 The towers themselves are built within a private section of the development set way back to ensure that residents are not disturbed by the usual traffic and noise of city living. Its 3-level podium parking is also designated to separate spaces for residents and commercial use. And to complete the exquisite needs of future residents, a driver’s lounge is also provided for at the residential parking area. 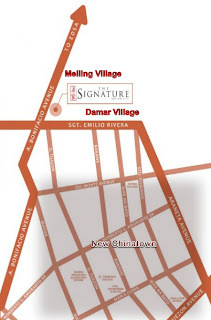 Access to the residential areas are planned to provide total safety and security control. Each unit has an intercom to enable residents to screen visitors; units are also fitted with heavy-duty door locks and controls. Residents are issued card keys for elevator access, while closed-circuit TV cameras are strategically placed within the development to consistently monitor comings and goings. Topping these security features are electric fences around the property and 24/7 monitoring conducted by the Administrative Office and Security Command Center. To deliver such an amazing address as The Signature Quezon City, Filinvest collaborated with some of the best names in the industry, who have made their mark in their respective fields, such as Asya Design, one of the top architectural firms in the country and recipient of the Paris International Star for Leadership in Quality; Arlen de Guzman, who has thirty years of experience in the local and international interior design scene; and AECOM Singapore, world renowned landscape designer and masterplanner, a global provider of professional technical and management support services.